I took a lump sum distribution from my 401K plan and paid federal taxes on it. here do I put it on my 1040 form and do I owe any further taxes? the company i work for changed the company that manages the 401k account for them. so they took the money that was in my account, closed that account and invested the money with the new company. i never had possesion of any of it. i got a 1099 showing disbursment of the funds out of the old account. do i have to claim that amount as income or is there a form that needs filled out? i didnt get any paperwork from the new account manbager saying the funds were reinvested. I just divorced my husband he got the house and i got 281thousand from his 401k retirement do i have to pay taxes on that? My husband passed away last year on July, I am the beneficiary of his 401K which I plan to withdraw lump sum. I am age 50. What are the taxes and penalties do I face? What form shall I file for these withdrawal? I am a non US resident. Need to know about the 70/1/2 rule.. Am I supposed to start taking money out? And when? I gave about 38,000 as an alimony payment in a divorce settlement. Can I write this off on my taxes? I am a US citizen and have an existing 401K with my employer. I will move to Switzerland, working for the same company, and wonder if I can continue to make contributions to that 401K plan? My employer is taking a 401k deduction from my truck allowance. Is this legal? I have already filed my 2010 income taxes; however, last year we cashed out my 401K to help with the purchase of our new home. We had lived in our old home for 10 years. We did pay taxes on all of my 401K distribution; however, I am now being told that some of it may been exempt from taxes. Is this true? If so, how can I get the taxes we paid back? I took out around $100K out of my 401K last year and gifted around 60K to my parents in law for the purpose of them putting that money down on a second home for them that my wife and I pay the mortgage on. The rest was used on remodeling the new houses kitchen. We did it this way becuase we could not buy it on our own due to a foreclosure. Anyway . . . my company took out the taxes due on on the before tax monies. What I've discovered since then is, now it looks like there is a 10% penalty because I'm only 54 and it put me in a higher tax bracket. Am I stuck paying the extra taxes or is this not added to my earnings? It seems I'm paying taxes on the money twice; what my company took out and now because I'm in a higher tax bracket. Or does that not count as earned income? My ex-husband is receiving his 401K from a company he's longer employed. I have to live in government housing until I finish school to get a job to help support our three children. Is there a form that I can fill out for this one time payment so that my rent doesn't go up to which I barely can afford? I cashed in about $1,000 worth of 401K stock last year. Do I have to claim this as income on my 2011 return? Retire 10 years,account maintained by Ameriprize. When an adjustment is made in the account; i.e., moving monies out of one fund to another, a 1099 is issued by Ameriprise to cover gains from vacated fund. No money is withdrawn from fund except that required by age (72), Are taxes due on the 1099's, how do I show on my tax return that this was a transfer within the account to avoid taxes until money is withdrawn? I withdrew money from my 401K. I heard you can spread that withdraw income over 3 years. How do you do that? I'm doing a hardship loan through my 401k for medical bills. The amount is $20,000 What percentage of federal taxes would I take out for federal taxes. I live in Ohio and my husband and I made about $70,000 last year will be the same this year. I am withdrawing about $30,000 from my retirement account to supplement my social security income and am asked whether or not I want the additional money for the IRS taxes payable in April of 2013 taken out. I am thinking that I should defer any taxes since I feel that the stock market will rise and therefore add more than the tax amount withdrawn by April of next year. My question is "If I withdraw the money plus the taxes now, is the tax amount considered as straight income on next years tax form in the same manner as if I defer the taxes and withdraw money again next April to pay them at that time?" In other words, is there an advantage in taking out the money for taxes at the time of withdrawing from a 401K? If you pay your entire tax liability, to include your 10% penalty from a lump sum pay out, and your regular taxes. Do you recieve any of the withholding tax back from your 401k? I took some of my 401K money to purchase a townhouse. The amount was 55,000.00. I did pay tax on that money. Now when just starting my federal tax return it looks like I will be paying the Feds over 7000.00. My intent was to rent this home out, however I have not been able to do that. Please tell me what I need to do. I had 5000 in my 401 I paid 34 percent in taxes and receved 3400 will this effect my taxes? Can I Deduct an IRA Contribution Even Though I Did Not Contibute to 401K Due To a WARN Layoff? First some background: My company went bankrupt in 2009 and was bought out by another; as a result I lost my job under the WARN act. My last day was 12/18/09, although I was still paid to the end of the 90-day WARN period (Feb 2010). Of course I got a W2 for 2010 for those weeks in Jan/Feb, even though I didn't "work" per se. I stopped all contributions into my 401K in Dec 2009. Besides collecting unemployment, I was able to get intermittent work in 2010. I have an IRA. I use Turbo Tax to file. Here is my question: I tried to take the $6000 deduction for IRA contributions in 2010 (I am over 50), but the software said I was not eligible because the box on my W2 for "retirement plan" was checked off. But since I did not contribute to the 401K in 2010, nor performed work for the company which bought us out, I need to know if I can still take the deduction? I live in NY state. Thank you. I owe the IRS a significant amount of money, I currently earn just over the $728.00 per month they can't take. If I contribute a portion of these funds to my 401k, can the IRS take those funds later? Tax Deduction / 401k ? I didn’t work in 2010 due to medical problems and was being paid by workers comp until June then unemployment the rest of the year. I had $1,174.50 withheld in federal income tax and $293.48 in state income tax withheld from unemployment and have over $7000 in out of pocket medical expenses. 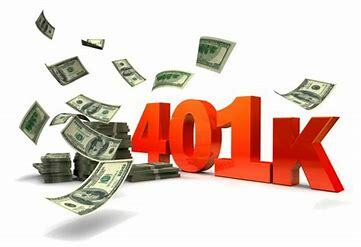 My question is that I withdrew $8000 from 401K & need to pay taxes on the withdrawal, would I be better off just paying the taxes on my 401K withdrawal and then filing taxes with my deductions? Or using the $7000 in out of pocket medical expenses toward the 401K withdrawal because im told That I have “exception to the withdrawal penalty” by filing a “Form 5329” ? Which way would I make more money in my tax deductions ? Is geting my 401 k early effect my tax return? I was audited by the IRS and am now facing penalty for early withdrawal of 33,000 from my 401K. I have been unemployed since 2007, my husband is 100% disabled navy veteran and not working, I am on Social security and medicare. We lost our house and are on the verge of losing this house. Can't catch a break we were audited and I was told since I am not 59 1/2 I am facing a 10% penalty for early withdrawal. Mind you all this money was put in my me I was self employed Real Estate agent/loan officer till I became so ill I could no longer work. Two types of hardship withdrawals are permitted from 401(k) plans. One is called a financial hardship withdrawal. It is subject to applicable income taxes and a 10% early withdrawal penalty if you are younger than 59 1/2. The other is a penalty-free withdrawal made under Section 72(t) of the Internal Revenue Code. With this, you pay applicable income taxes but not an early withdrawal penalty. How do I apply for a hardship, there is no way if they decide I have to pay 10% to give them 3000 I simply do not have it. I have a lawyer but they aren't doing anything to help except they took more money I don't have. Please what can you recommend?